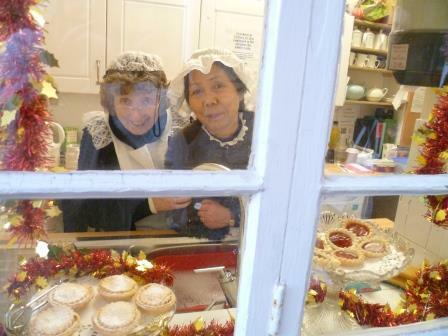 What’s going on at the Cowper and Newton Museum for Dickens of a Christmas this year? Our very own warming Mulled Wine to keep the chills away! Delicious hot chocolate, tea and coffee served all day in the Courtyard- warm up those hands! 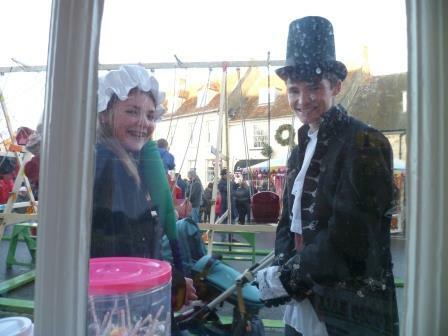 David Pibworth’s magic show at 12pm, 2pm and 3pm in the Courtyard. Olney is the Home of Amazing Grace – please fill our donation buckets and support your local heritage for future generations to enjoy! 24 Days of Advent (Olney): Carol singing in the Courtyard at 2:30pm. Splat the Rat! Rats were living freely around Cowper’s home (now the museum) 250 years ago. They were on board Newton’s ships at sea too. We don’t want them running about Olney town today! Georgian costume room open for dressing-up. Relive Georgian life with us. Work by the maker-artists of Milton Keynes for the ‘Get Making’ exhibition will be upstairs in the museum’s Three Hares Gallery. Look out for the lace-making demo! 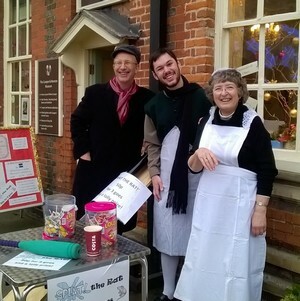 Want to be part of Olney’s Dickens Day? Festive cheer to you all!